Erin is admitted to all California State & Federal Courts. 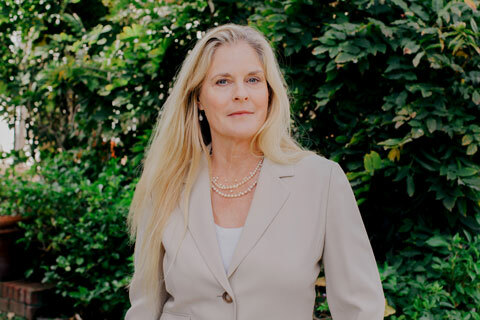 She is an active member of the Santa Barbara County Bar Association and the State Bar of California. Erin has been a member of the State Bar’s Labor & Employment Law Section, and served on the State Bar’s Committee On Women In The Law. Erin’s fight for the progression of women’s rights is borne out by her longstanding membership in Santa Barbara Women Lawyers, service as a past SBWL board member, and continuing SBWL mentoring committee membership. Erin’s ongoing membership in California Employment Lawyers Association (CELA) – a statewide organization of attorneys representing employees in termination, discrimination, wage and hour, and other employment cases – helps Erin protect and expand the legal rights of California’s workers through litigation, education and advocacy, and ensures that Erin’s employer clients understand the virtues of maintaining non-hostile workplaces. In her decades of practice, Erin has successfully represented a wide variety of workers, and small business employers, in resolving and preventing employment discrimination and retaliation, wrongful termination, defamation, unfair competition and wage and hour claims. Erin’s post-graduate work in Immigration at Pepperdine Law, a year honing her immigration skills through pro bono service to the Los Angeles County Bar’s Immigration Legal Assistance Project, and practicing immigration law for decades have given Erin a great deal of compassion for immigrants seeking legal residency and citizenship in the United States. Erin is committed to making quality legal information accessible and affordable because it is fundamental to making informed future choices that significantly impact our lives. Erin gives back to the Santa Barbara County community for providing her with an extraordinary quality of life by providing ongoing pro bono consultations regarding employment issues, estate planning and immigration processing. Erin is a California native of the San Francisco Peninsula where she attended Santa Clara University Law School, reveled in Law Review editorship, and studied International Dispute Resolution and Comparative Law abroad. Erin continues to practice global citizenship as an avid traveler and volunteer for sustainable humanity.